Blind Pups Shelby and Raina Are the Fresh Fans of the Week! 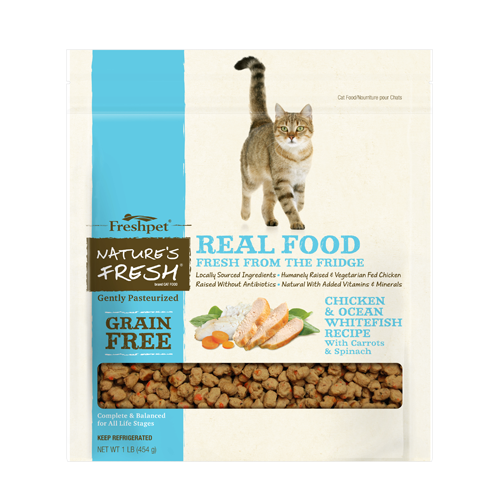 When we started Freshpet back in 2006, we set out with the following mission in mind: "ALL pups and kitties deserve fresh pet food, too." Since day one, giving back has always been a core principle of what we do here at Freshpet. And rarely is the spirit of giving more prevalent than during the holiday season. When Kristen with the Blind Dog Rescue Alliance posted on our Facebook page about her pups Raina and Shelby, we knew they were special. We asked Kristen if she'd share some more details about her pups with special needs, and got an incredibly heartwarming tale just in time for the holidays. We're so happy to feature these two pooches as our Fresh Fans of the Week! 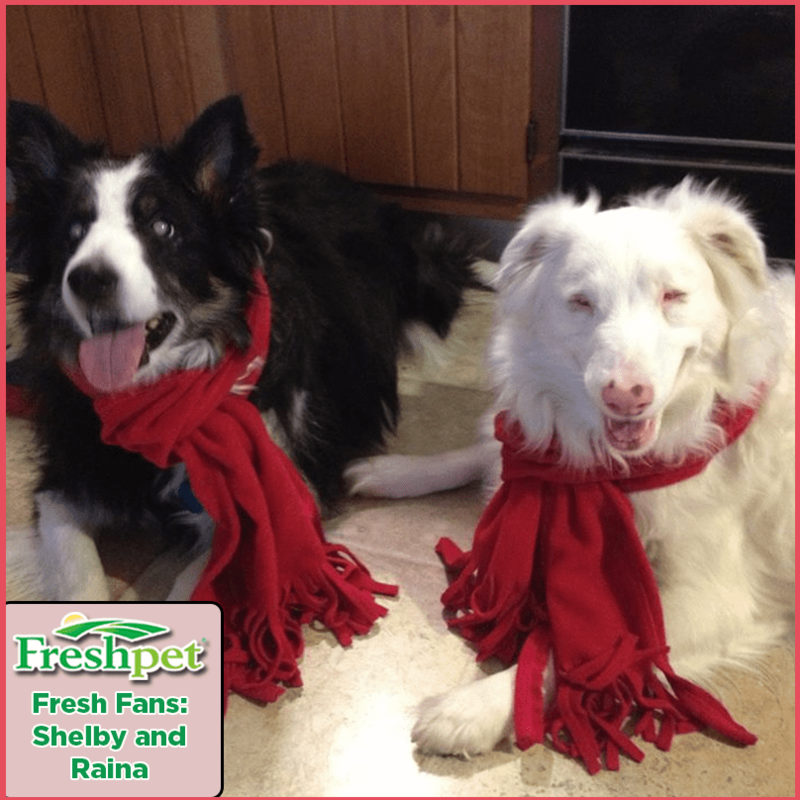 Fresh Fans of the Week: Shelby and Raina of the Blind Dog Rescue Alliance! How Did Raina and Shelby Become a Part of Your Family? One day, I was browsing on PetFinder.com. I came across this gorgeous white puppy with the cutest pink nose you'd ever seen. Her name was Raina, and was born blind and deaf, the result of bad breeding. While I'd never had a special needs pup before, I applied to adopt Raina. A round-trip car ride from New Jersey to North Carolina later and Raina became part of the Murdoch family. Having her in our family has truly changed my life. Did Raina Inspire You to Become More Active With Blind Dogs? You have no idea! After adopting Raina, I became an active volunteer with the Blind Dog Rescue Alliance. That's when I came across other blind pups in need that I couldn't help but want to bring in under my roof. Shelby, pictured above, is my sixth foster dog for the Blind Dog Rescue Alliance. Shelby was found as a stray on the side of the road in North Carolina, who had developed diabetes and has cataracts, not to mention she is blind, but can hear. Despite this laundry list of 'issues,' Shelby is one of the happiest and healthiest girls you'll ever meet. 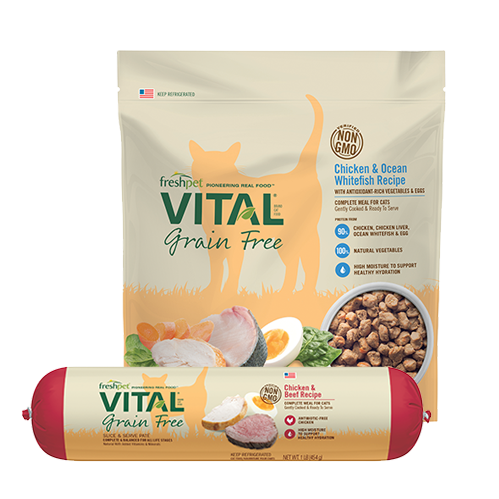 With lots of love and a nutritious diet, thanks to her favorite Freshpet Vital rolls, she is learning to give and receive affection and how to interact playfully with others! What Are Some of the Challenges in Fostering Blind Pups? The communication can be an issue with dogs that are blind, deaf or both. So for Raina, who is both, it certainly takes some more time for her to learn instructions and how to live in her environment comfortably. We've taught our baby Raina touch commands, like on moving directionally, and it's amazing how quickly she's picked them up – she's so smart! But what's the most incredible thing is that Raina, being born blind and deaf, doesn't know that she's different from the other pups – so we try and treat her that way, too. With Shelby, she can often be more scared of her environment because she can hear noises, but not see where they are coming from, and can be startled easily. It is very important to know the needs of individual pets with specific conditions in order to communicate effectively. Blind Dog Rescue Alliance video 2013 Ryot challenge from [email protected] on Vimeo. You Mentioned Raina Inspired You - How Else Have You Gotten Involved With Blind Animals? Where do I start!? I coordinate and volunteer for monthly rescue events with Raina and Shelby. I also maintain the Blind Dog Rescue Alliance's Facebook page, where these two have accumulated quite the digital following. In 2007, I started Lending a Paw!, a community outreach program which has raised over $18,000 in donations to date! In 2011, I received an Honorable Mention for the Humane Society of the United States' National Kind Teach Award program. When you find something you love, it becomes so easy to get inspired to get involved and give back - and I've got my pups to thank for that! 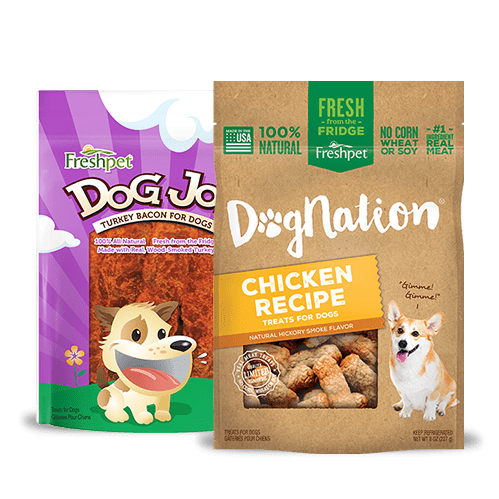 What Has the Freshpet Donation Meant to You and Your Pups? 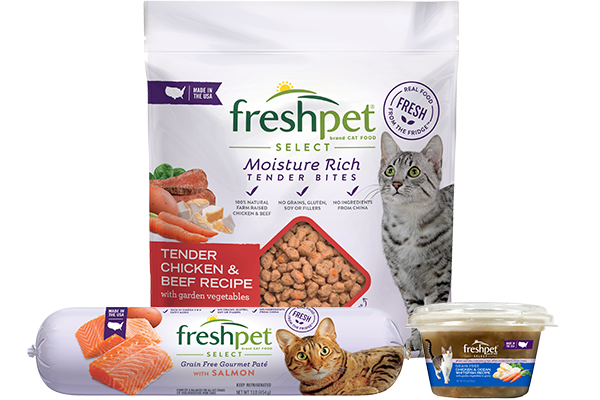 All of my furry girls LOVE Freshpet! The Blind Dog Rescue Alliance volunteers and our blind dogs truly appreciate the generous donation of Freshpet food. 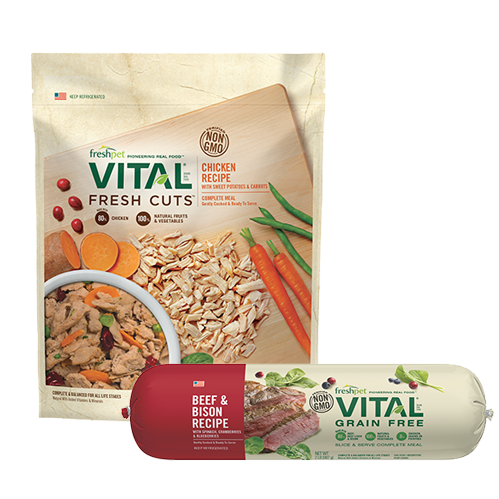 I want my pups to eat healthy, but a raw diet just won't work in this house. 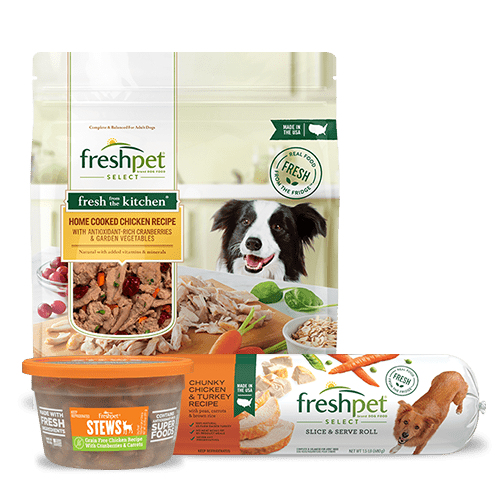 So when I first tried Freshpet, my dogs went crazy for it, and to have some donated now is so amazing. 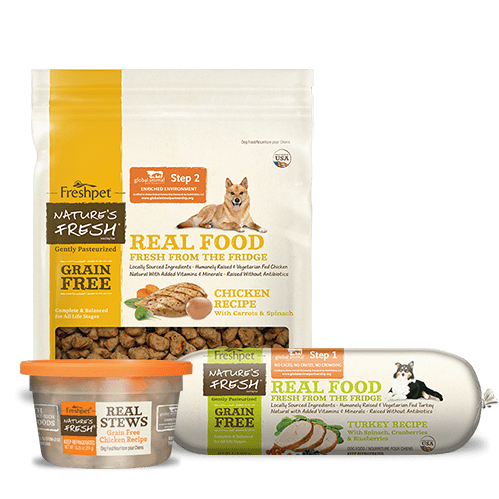 To my dogs, Freshpet is not dog food – they think they are getting a special treat. Raina uses her incredible sense of smell around mealtime, which leads her to the fridge, and Shelby and the other girls will "circle dance" when I open the fridge at mealtime. They all lick their bowls completely clean!! Do you have any experience with dogs or cats with special needs? Share their story in the comments below!